Everything was perfect. From when we arrived to when we left. We felt that the host was like our friends, so kindly and gentle! Very, very beautiful view, quiet place for a relaxed holiday. There is everything necessary for comfortable rest. Very nice and helpful hosts. Einzigartige Anlage mit traumhaften Ausblick über die Berge und das Meer. Schlüsselübergabe war sehr kundenorientiert, flexibel und problemlos. Der Pool war super sauber und nicht zu kalt. Würde ich jederzeit weiterempfehlen. Die Ausstattung der Villa ist sehr gut. Es ist alles vorhanden was man im Haushalt braucht. Das Pool wird regelmäßig gewartet. 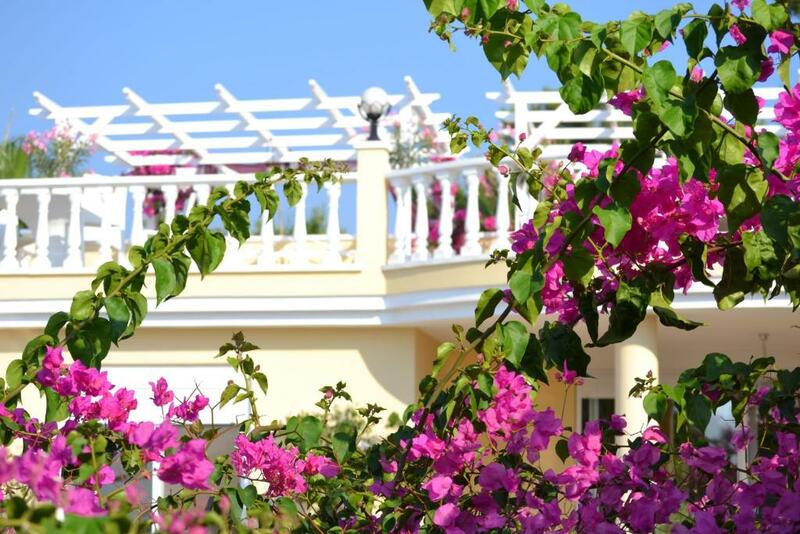 Lock in a great price for Honeymoon Villa – rated 9.3 by recent guests! 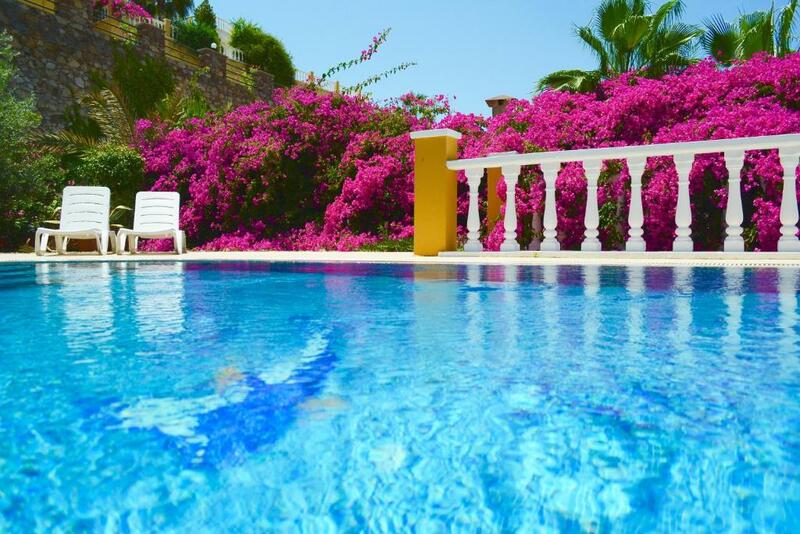 Honeymoon Villa is located in Alanya, 11 miles from Alanya Ataturk Square and 11 miles from Alanya Red Tower, in an area where snorkeling can be enjoyed. 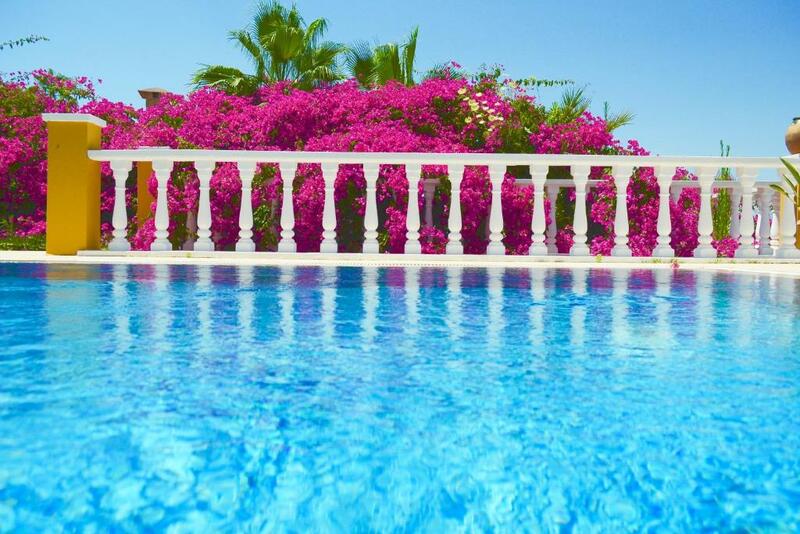 Featuring sea views and a garden, this villa also includes free WiFi. This villa has a living room and a fully equipped kitchen. The villa also has a bathroom. The villa has an outdoor pool. Both a bicycle rental service and a car rental service are available at Honeymoon Villa, while hiking can be enjoyed nearby. Alanya Aquapark is 11 miles from the accommodation, while Alanya Archaeological Museum is 11 miles away. The nearest airport is Gazipasa Airport, 18 miles from Honeymoon Villa. When would you like to stay at Honeymoon Villa? This villa has a balcony, DVD player and seating area. It offers a terrace with panoramic view, garden and private pool. Honeymoon Villa is a charming villa set in its own beautiful gardens with a private pool overlooking countryside, mountains and coast. If you want total relaxation in beautiful romantic surroundings then you must visit this gorgeous haven. The pink bougainvillea blossom swirl around the garden like confetti. 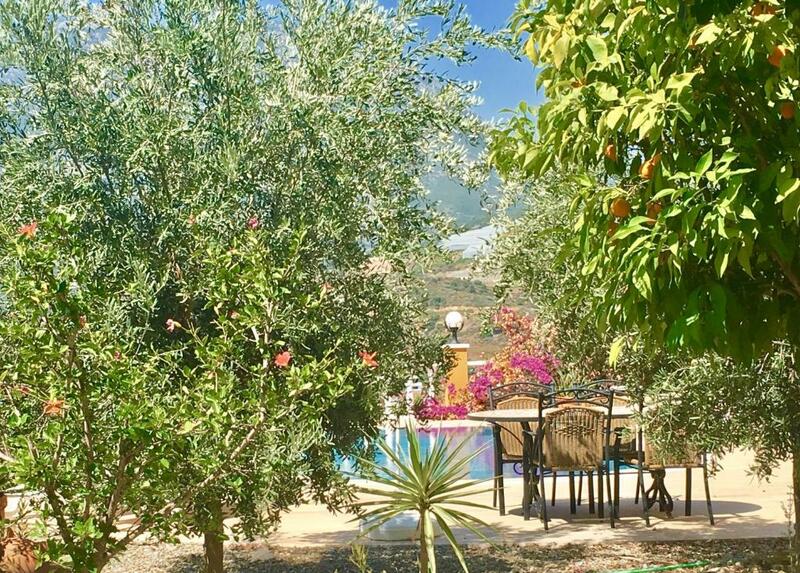 The rear garden has only the pine forest as its neighbour and there are shady hammocks under palm trees, olive trees, fruit trees and an abundance of mediterranean shrubs and flowers to please the eye. There is a large veranda overlooking the pool where you can sit, eat, read and relax. On the rooftop there is a vast sun terrace with breathtaking views of the coast and the foothills of the Taurus Mountains. Here you will find another dining area and wonderful double bed for afternoon snoozes. Our Villa has been a much loved honeymoon destination since 2010 with many couples returning for their first anniversaries. You can read existing online reviews if you search for Honeymoon Villa Alanya. In 2019 we are only considering long term bookings of one month and more. The villa is exclusively yours when you book. 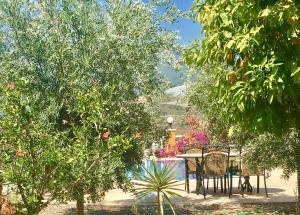 Kargicak is an area of outstanding beauty and the villa is positioned to exploit the potential of this. Although set on the hillside it is still only a 5 min drive to beaches and shops. The beaches in Kargicak are relatively unspoilt, calm and peaceful. Our favourite beach 'Family Beach' serves delicious food day and night and will even bring your meal to your sunbed on the waters edge. A little further along the coast is Mahmutlar (8 minutes drive from the villa) and Alanya (15 minutes drive). Alanya is a very exciting cosmopolitan city with a mixture of cultures & a European feel. So shop til you drop, then head back to the villa for a dip in the pool, a relaxing snooze, a good book on the veranda or a tasty BBQ. The pool is cleaned three times a week by a professional pool company and kept to a very high standard of cleanliness. The gardens are watered by the on site gardener. There are taxi buttons on the site which you can press and automatically order a taxi to your location without any need for explanation or directions. Alternatively we can arrange car hire or for private transport. We do everything to ensure your stay is stress free and magical. House Rules Honeymoon Villa takes special requests – add in the next step! Please inform Honeymoon Villa of your expected arrival time in advance. You can use the Special Requests box when booking, or contact the property directly using the contact details in your confirmation. To the sea walk far. For complete comfort it's better to rent a car.